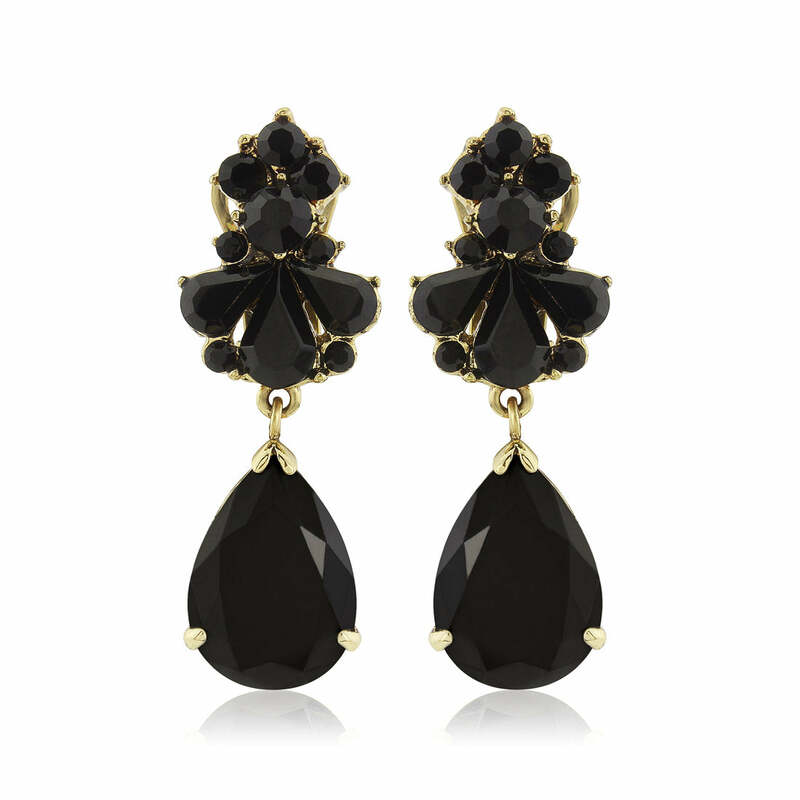 Fabulously glamorous & effortlessly chic, make a statement with these Gatsby style black and gold drop clip on earrings. Gatsby Heiress Clip On Earrings are dramatic black and gold drops epitomising the glamour of the Gatsby era of the iconic 1920s. Featuring a stud of clustered jet crystals with a fan of pear cut crystals leading to a dramatic black pear cut drop set on antique gold tone, they ooze statement elegance. Exquisitely glamorous, these fabulous drops will frame your face beautifully. Pin up your locks and allow them to speak for themselves as they dress up a LBD or add a bold statement to an elegant long gown. Add a decadent touch to your bridal attire for a Great Gatsby inspired wedding theme. Whether you choose to wear them throughout the day or to add allure for the evening reception, Gatsby Heiress will look sensational. Team with our black and gold hair accessories for iconic style.